Have you had your hands on this yet? 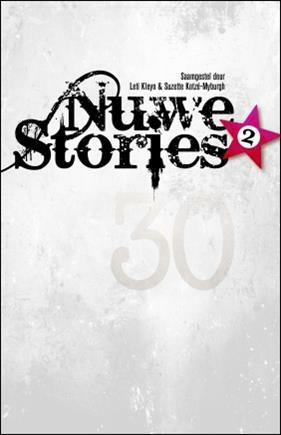 Hot off the presses, Nuwe Stories 2 is the only cubic package you MUST give this Christmas. It’s not the only book you MUST own, but definitely one of them – at least right up there with your Bible and your Diary 😉 It has been available since the 15th of November… so what are you waiting for? It’s time you rush to your nearest bookstore to get it, or click here to learn more about the book and where to get it. Your life will feel meaningless without it! Nuwe Stories 2 – Make space for it on your bookshelf! 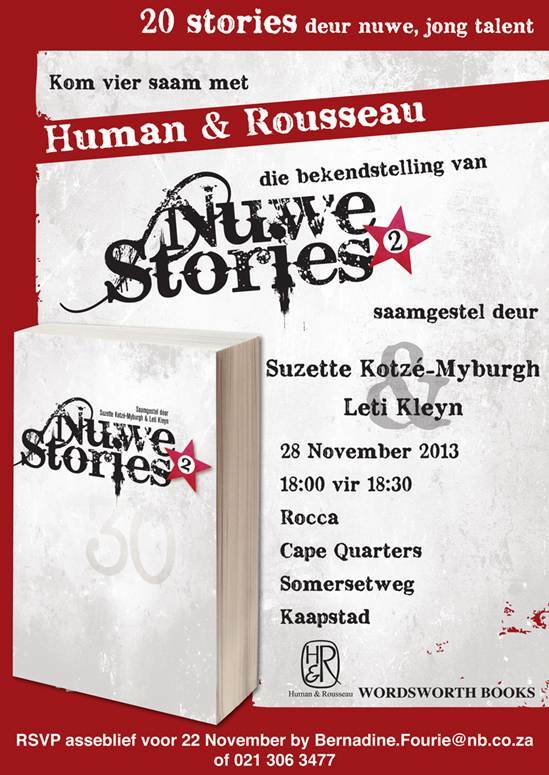 Nuwe Stories 2013 Book Launch Invitation. Yes, it’s an invitation to the book launch of one of the hottest new numbers on the shelves this Christmas, Nuwe Stories 2. Of course, being one of the collaborators, I get a front row seat at the event and one of the first signed copies, but that doesn’t mean you’re not invited. In fact, this here is my official invitation to each and every one of you to go out and get multiple copies as Christmas gifts, wedding gifts, housewarming presents, Birthday gifts, just-to-say-I-love-you gifts and early Mother’s- and Father’s Day gifts. Also get one for yourself, since you’ll want to read this – I promise. I read the entire collection of stories in one sitting. The hard copies will become available in major bookstores everywhere in the country in the last week of November/first week of December, so there’s plenty of time to get it wrapped up for your mom, dad, grandparents, siblings, dog (yep, your dog will want one) and of course your spouse and all his/her family. There will also possibly be an electronic version available from Kalahari and on Kindle. More about this when I know for sure. For those of you who managed to read this far, if you are interested in coming to the launch, inbox me. For a modest amount of biltong, chocolates and wine, I might be able to sneak you in.